We live in an age where people are willing to spend hours sitting around watching other people play videos Twitch for Android: Everything You Need to Know Twitch for Android: Everything You Need to Know Twitch for Android recently updated to support video on demand, so we take a close look at the awesome new app. Read More . 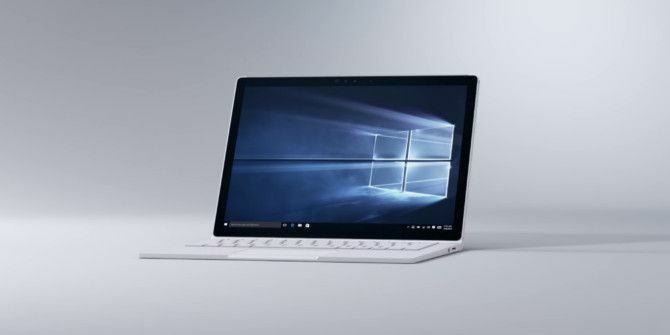 As such, Microsoft included a feature in Windows 10 that lets gamers record their gameplay Here's How Gaming Will Work With Windows 10 Here's How Gaming Will Work With Windows 10 With Windows 10, Microsoft is bringing PC gaming and the Xbox One together in a big way. Find out what to expect once Windows 10 arrives. Read More with just a couple keyboard strokes. But it can do more than that. In fact, with it, you can actually record videos of any app you’re running on Windows 10. If you want to record your screen while demoing something in Photoshop How to Make Your Own Christmas Card in Photoshop How to Make Your Own Christmas Card in Photoshop It's never been easier to make your own Christmas card on Photoshop. In this article, we walk you through making one. Read More , for example, you can avoid downloading third-party screen recording software The 5 Best Screen Recorder Apps for Capturing Your Mac OS Screen The 5 Best Screen Recorder Apps for Capturing Your Mac OS Screen Need a tool to record the screen on your Mac? Here are the best screen recorder apps to capture your Mac desktop. Read More and just use Game DVR. While the app you want to record is in focus, press Windows Key + G. A little box will open on the bottom of the screen saying “Do you want to open the Game Bar?” Click the check box acknowledging that you do. Now, anytime you hit Windows + G in that app, the bar will open. You’ll see a big red button on the bar, and clicking that will record your screen. Hit Windows Key + G again when you’re done, and it’ll stop recording. It’s as easy as that! Are you going to use Game DVR to record your screen, or do you prefer a third-party solution? Share your thoughts in the comments! Explore more about: Record Video, Windows 10, Windows Tricks. What file format is it saved in? What application is used to view the video? Can this video be viewed on other versions of Windows? This sounds like an idea tool for providing trouble shooting support for non-technical users. The victim of MS non-support can record a video demonstrating the problem and then share it with anyone who is willing to help. Much better than working with screen captures. It records in MP4 and can be viewed with Windows Media Player. The down side is that it records your entire screen. I do professional tutorials and the company had me actually use CamStudio which doesn't have a ton of features but it's open source, making it free. You can pick the size of the recording area and then place it where ever you want on the screen. I have just checked to make sure nothing had changed and I can confirm that, on both my laptops, Game DVR records only the window in focus and not the full screen. Hope this helps.